We've covered a host of different topics in the last ten years of Rise and Design events, but this one is probably the most important. Great design can enhance lives, but it can also save lives, and in this event we'll be hearing from organisations that have devoted themselves to protecting people ,and who rely on well designed products and services are achieve this. Nick Ayers, Royal National Lifeboat Institution. Since 1824 the RNLI and it's thousands of brave volunteers has devoted itself to saving lives at sea. 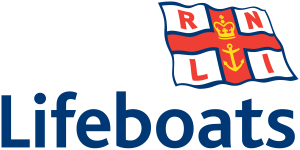 And as well as relying on the guts and determination of its lifeboat crews, they also employ cutting edge engineering and design to develop their boats and equipment, and to understand the reasons why people put themselves at risk. Nick will tell us more about their work and some recent achievements. This is a great opportunity to learn about the impact that design is making, as well as a chance to meet and chat with like minded people.